Remember I told you I was working with a few dozen other bloggers to make your Christmas (and really all shopping for 2016) a complete breeze? How you were going to get to sit in your pajamas, with your feet up, drinking wine coffee? Well the day has come. The guides are ready and posted at the bottom of this post. I'm so excited about this gift guide! Like I said earlier this week, everything on this guide is something that I would love to have. If you're a reader and don't just look at the pictures, my goal is to let you know what I like about the item and why I think it is important for successful and fun baking. If you're not a reader, well - you may just want to look at the pictures. But don't stop not reading until you've entered the giveaway! All of these items can be purchased on Amazon which I thinks makes things easier. And here is a little tip. If you click the picture or the text it will take you to the item on Amazon where you can see more about the item. If you think you might like to buy it or want to think about it a little, put it in your cart. That way you can go back later and examine more closely and eliminate things without rechecking my blog post. Disclosure: these are affiliate links. And it begins . . .
Can we talk mixers? Here I have selected the Kitchen Aid Artisan Series 5 Qt Mixer. They make bigger, more expensive ones and some smaller models, but I think 5 qt is a good size. 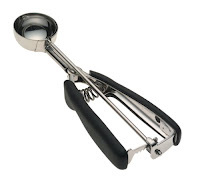 If you want to spend less than $100, I like this hand mixer. I really like that is comes with a storage unit for the attachments. Those things have a way of getting spread out everywhere. This last item is a splurge. And completely self-indulgent on my part. I want one of these in my kitchen. It's a Sonos Play:1. A Compact Smart Speaker for Streaming Music. It connects directly to your home wi-fi. 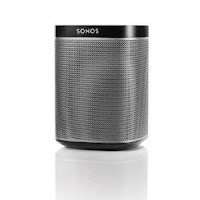 It streams music directly from a free Sonos app on your smart phone or computer. AND a $50 Amazon Gift Card to get you started on your baking purchases! Enter the rafflecopter at the bottom of the post, the giveaway will run for 1 week and the winner will be notified via email – good luck! each and every one of them has at least one gift guide and giveaway of their own! 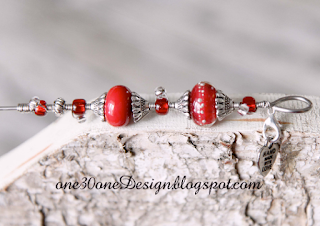 So grab a cup of coffee, find a comfortable chair, put your feet up and SHOP!!!!! I think this is one of the best blog link parties. evah. Perfect timing, too, on the weekend, and timely enough to start watching for deals and shopping. Thanks, Karen, for the baker's list. I would love to have the HIC Oblong Rectangular Baking Dish Roasting Lasagna Pan. It's really nice! You can sign me up. I LOVE that rubber band idea for gauging the depth of your crust! I have that exact silicone mat for rolling things out and it is PERFECT...a real workhorse that I have used so many times. I would love the ramekins. I most like the KitchenAid Mixer. I sure would be handy! I love the pizza peel. I could use more silicon mats! They are the best invention! 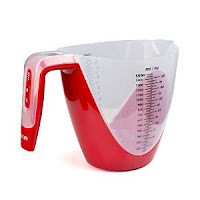 I think the digital food scale measuring cup is super cool! Two important and related kitchen tools combined into one. I'd love to one day have a Kitchen Aid Stand Mixer. They're pricey, but they look so nice! Bailey Dexter I would love the Kitchen Aid Artisan Series 5 Qt Mixer, this would such a help making my gluten free bread! I should totally buy my hubby those ramekins! I only have four and instead of using them for adorable little portions of food they are always being used for ketchup holders. Silly man. I would like to have the Revolving Cake Stand . i like the KitchenAid Mixer. I do believe I would have to go with the Kitchen-Aid mixer... mine came over on the Mayflower. Thanks for the giveaway! I would like the shiny aluminium cake pans. I need a new set. My current ones don't work very well. First; thank You for this wonderful giveaway opportunity. All very handy kitchen items. My choice would be a toss-up between the kitchen-aide mixer or the revolving cake stand. I love ramekins! They are extremely useful and versatile. I have a kitchen aid, couldn't live without it! Would love to have the hand held mixer for all the "little" stuff. Thanks so much! 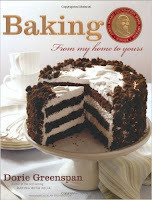 Cookbooks, I love reading the stories that come with most cookbooks now. I would love the silicone baking mats. I heard they are life changing when it comes to baking things! O My Goodness... What a hard choice this is. 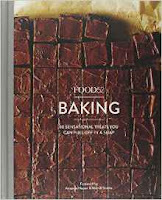 I would love the Food52 Baking Book for "small" ideas. I would love to have measuring spoons that fit into anything. I have some beautiful ones that look lovely hanging on my wall but they fit into nothing! I really want that KitchenAid Mixer! I would love to have the Kitchen Aid Mixer. I would use this almost every day. 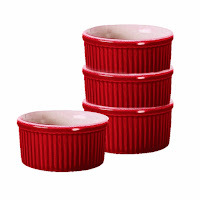 I love the ramekins, especially in red! They inspire me to get baking! Of course I would love to have the Kitchen Aid Artisan Series 5 Qt Mixer. I would most love to have the silicone mats for baking cookies. I'd pick the lasagna pan!! All are quite tempting. Of course I would not say NO to the beautiful Kitchen Aide, and it comes in great colors. The silicone baking mats are always useful. And that wooden Pizza Peel for grilling is to die for. I love the lasagna pan because it's the perfect size for family portions! I'd love the OXO cookie scoop! 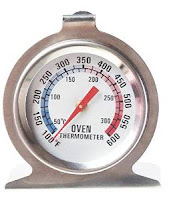 I would love the Stainless Steel Measuring Tools. I love all the items. The Kitchen Aide would be appreciated, but I could use the revolving cake stand too. This list id for me! I am the gadget queen! I love the pizza pan scrubber nad I need the cake tester, it is so pretty! 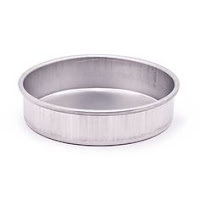 The souffle dish would be a great gift for a baker. I'd love those rolling pin guides. I'm always wondering how to gauge dough depth. I would LOOOOOVE to own a Kitchen Aid mixer! 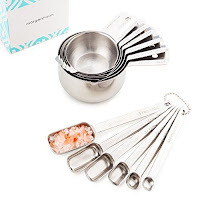 I would love to have the Stainless Steel Measuring Tools. I would like the Camry Digital Food Scale Measuring Cup. Oh they are all such great ideas! I have not seen many of them! I really love the Camry Digital Food Scale Measuring Cup !!!! I would want to get the mixer. I had one and sold it when we were moving cross country. I don't know what I was thinking! But seriuosly, the mixer is a dream when baking several batches of cookies! Thanks for this opportunity!!! 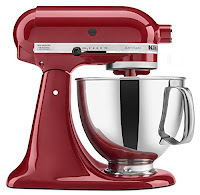 I really, really, really have been wanting this: Kitchen Aid Artisan Series 5 Qt Mixer!! Great ideas, thanks for sharing. I would love to have the pastry mat and the spacer bands (I am still using the big bulky Tupperware mat). I really like the KitchenAid mixer! My favorite would be the KitchenAid mixer, but I am in love with the cake tester. The cake taster makes cooking more fun. I think the only thing I don't have is the cake tester! One can always use more measuring cups though! I've always wanted a kitchen aid mixer! Would love the cake stand! i love that they make the pizza stone scrubber brush! i have a pizza stone and i usually just pick at it with my nails since i don't want any soap getting into it! I have always wanted a Kitchen Aide mixer, so that would be my first choice. Thanks for the chance! I would love that revolving cake stand but I think I need the rolling pin spacer bands. I bought a friend one of the cake testers, but I might like one myself. However, I realllly need a new mixer! Thank you for this sweet giveaway just in time for holiday baking. I'd really love a non stick silicone mat. I've wanted one for forever, just never gotten around to it! I would love the pie rollers. I can never get my pastry even. 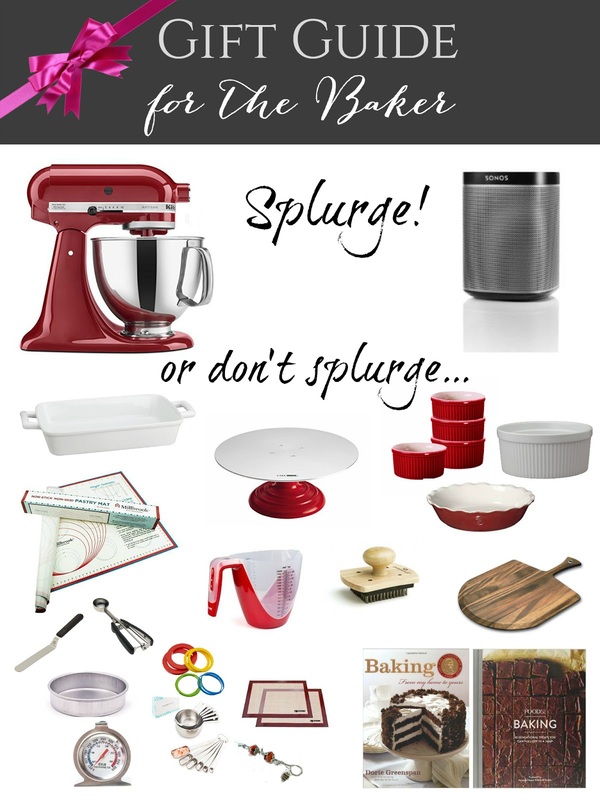 I would.love the mixer, I have had one on my wishlist forever ! 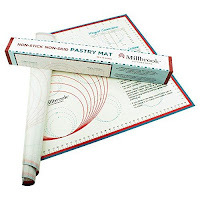 I really like the Millbrook silicone non-stick, non-skid pastry mat. My pie crust always sticks to the counter top. I would love to have the Non-stick Silicone Baking Mats. I have one but one is never enough! I want the Non-stick Silicone Baking Mats. I’d like to own the non-stick silicone baking mats. I can see myself using those a lot! I would love to have the silicone baking mats!